According to an analyst, we could be playing PS5 games before April next year. A brand new report from Bloomberg has surfaced indicating a decline in profits for Sony Interactive Entertainment, best known as the company's PlayStation division. But the most interesting part of the story had little to do with financial reporting. Rather, according to Asymmetric Advisors Pte analyst Amir Anvarzadeh, SIE's dwindling monetary intake demonstrates an urgent consumer demand for new hardware. "There is more downside as we believe slowing growth in its games division signals a very likely PS5 launch for next fiscal year and the ensuing costs that come with the launch of a new platform," Anvarzadeh told Bloomberg. Releasing the PS5 in the "next fiscal year," as he puts it, suggests the PS5 will arrive on store shelves prior to March 31, 2020, which marks the end of Sony's 2019 fiscal year. Until now, all signs pointed to autumn 2020 or perhaps even spring 2021 as the targeted release window for Sony's forthcoming and yet to be revealed home console. Last May, for example, Sony Interactive Entertainment CEO John Kodera told the Wall Street Journal the "next step" for PlayStation would unravel itself in three years' time. Until then, Kodera said the company will be purely focused on its continued maintenance of its various subscription services, including PlayStation Now, PlayStation Plus, and PlayStation Vue. In an interview published by GamingBolt, IDC analyst Lewis Ward said we'll see next-gen consoles from both Sony and Microsoft come E3 2020, though he added "modest hardware refreshes" for the existing PS4 and Xbox One would be unveiled later this year. 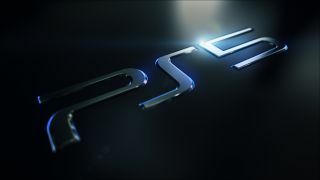 Tom's Guide managing editor and chief gaming expert Mike Andronico also contends that pre-spring 2020 seems too early for Sony to usher in the ninth generation of video game consoles with PS5. "That's only about a year out from now, and given the continued strong sales of the PS4 as well as upcoming exclusives such as Days Gone and Ghosts of Tsushima, it seems like Sony has enough gas in the tank to make the PS4 its primary system through most of 2020," he said to GamesRadar. "I think a mid-year  reveal and fall release is more likely." An inside source we've spoken to in the past regarding PS5 said that while a late 2019 or early 2020 release is "technically possible," there is no indication that it's bound to happen. Considering our source's knowledge of Sony's fall 2019 first party lineup, that person - who wishes to remain anonymous for obvious reasons - said it's unlikely Sony introduces a new console at or around the same time. Doing so would effectively cannibalize PS4 sales. That said, the aforementioned Bloomberg report does correspond with a story we published back in October. In it, GamesRadar staff writer Alex Avard reported that Infinity Ward was hiring for a temporary associate game designer for "an exciting, unannounced next-gen title." If you're familiar with the Call of Duty three-studio development cycle initiated in 2014 then you already know it's Infinity Ward's turn to step up to the plate following Treyarch's deployment of Call of Duty: Black Ops 4 in 2018. A next-gen CoD game coming out this year implies a next-gen console is coming out this year as well. That's basic science. Still, we're skeptical of an imminent PS5 announcement, especially given the news from November that Sony is foregoing E3 altogether this year. But maybe there's a reason for that. Perhaps Sony wants complete control over the PS5's formal stage debut. Mike Andronico is convinced that's precisely the case. "As far as Sony's reveal strategy, I believe the company will host its own standalone event as it has with the PS4 and PS4 Pro," he said. "This way, Sony gets to dominate the conversation, rather than be one of many parts of it at E3." Even so, it's worth noting that some prominent indie developers still don't have their PS5 dev kits. When asked about its hopes and dreams for PS5, Tequila Works - the studio behind Deadlight and Rime currently working on a PS VR sequel to the movie Groundhog Day - said it's practically unaware of the PS5 beyond hearsay. "We haven't received anything regarding PS5 but rumors and to be honest [it] is quite hard to figure or imagine anything based on 'gossip,'" said Tequila Works product manager Paula Palicio. With so many contradictory reports floating around, it's hard to say when we'll see the PS5 or Microsoft's Project Scarlett family of devices. As we await official word from Sony, we encourage you to reach out should you possess any concrete intel about the rumored, next-generation PlayStation 5. For now, get caught up with the best PS4 games to see exactly what goodies there are to enjoy.